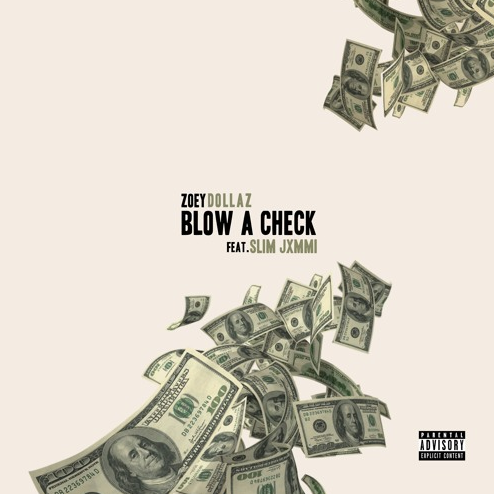 Last month, Miami rapper Zoey Dollaz' dropped "Blow a Check," which has since become a buzzing hit. He's now dropped a remix with Slim Jxmmi, one half of Rae Sremmurd. And Jxmmi isn't the first big rapper to take on the club anthem. Diddy, along with French Montana, rapped over the beat (from Smash David) on the final track on his new mixtape, MMM. The two rappers sound surprisingly alike, and you'd be forgiven for thinking it was Jxmmi who opened the track. Dollaz has remarkable confidence for someone who's just breaking out, and he's yet another young talent to look out for in southern Florida. It's Friday, and this could definitely do some damage tonight. What version of "Blow a Check" are y'all feeling the most?